This Chicago Park District dataset includes information about event permits requested through the Chicago Park District, including the name of applicant, the name of the event and a brief description, contact information, time of event including set-up and tear-down times, the name of the Park and location, and estimated number of event attendees. Additional information may be included depending on the type of the event, including proof of insurance, route maps for all races and runs, security plans and medical services and required city documents. Permit levels issued by the Department of Revenue include picnic levels, athletic levels, corporate levels, media levels, promotions levels, and festivals/performances levels. 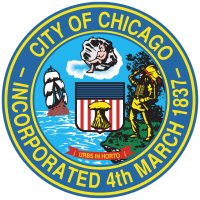 For more information, visit http://www.chicagoparkdistrict.com/permits-and-rentals/. This dataset includes applications for use of Daley Center Plaza, starting in 2012. The data includes the name of the requesting organization, the date each permit was requested and its status. A copy of the Regulations and Procedures for the Daley Plaza can be downloaded at: http://www.pbcchicago.com/content/contact/location_map.asp. Note: For parks with multiple movies, the color may be determined by any of them. Filter by date for more accurate color coding. List of all Movies in the Parks events. This list is a one-time upload and cancellations will not be updated. Please visit the Chicago Park District website or call the Movies in the Parks hotline at 312-742-1134 to check for cancellations due to weather. List of all Movies in the Parks events. This list is a one-time upload and cancellations will not be updated. Please visit the Chicago Park District website or call the Movies in the Parks hotline at 312-742-1134 to check for cancellations due to weather. All movie screenings begin at dusk. Estimate 8:30 from June-July 15, 8:15 from July 15 - August 15 and 8:00 after August 15.